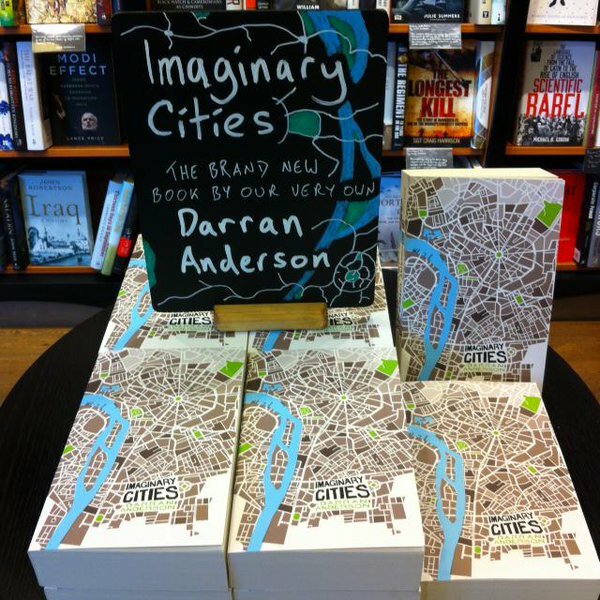 In Imaginary Cities Darren Anderson takes a fascinating stroll of almost 600 pages through imagined, proposed, designed, abandoned and aspired-to metropolises. Claiming to be more than psychogeography or hauntology, Anderson combines the visionary, anarchic, mundane and revolutionary together in a stream-of-consciousness exploration of utopias and dystopias, weaving together opinion, fact and fiction to make an enjoyable and entertaining read. The book is loosely grouped into themed sections, each containing several (sometimes many) individually titled chapters or essays. Each, however, reference and link to other sections and essays, that is ideas and cities reoccur and are discussed from several angles as the book progresses. As well as subjects one would expect to be here, such as The Tower of Babel and the architectural designs and social theories of Le Corbusier, there are many asides and surprises included. The Golem pops up, as does Blake’s New Jerusalem and Fritz Lang’s Metropolis. The historical Venice is here, but so is Marco Polo’s Venice and the Venice of Italo Calvino’s fiction. The Crystal Palace and other glass constructions are noted, in contrast to the domestic aspirations of home and futurist sci-fi cities stretching to the sky and then on into colonised space. Anderson also takes on nostalgia, prophecy, steampunk, architecture, ownership, urban design, zoning, mythology, storytelling and technology. It’s a fascinating read and the book is only marred by a couple of things. There’s no conclusion as such, so by the end of the book one feels rootless and nomadic, inspired but unfocussed. My other complaint may feel slight to some, but bear with me. There’s no bibliography and the referencing system is incomplete, often incorrect, and haphazard to say the least. This matters because it makes it very difficult to follow any leads given to a reader. I would love to be able to pursue several of the strands of thought Anderson raises here, but it’s difficult not knowing which edition of the books mentioned here to consult, or even who published them. He’s also prone to quoting from secondary sources rather than tracking the original material down for himself. With this proviso, I recommend the book to those interested in the ideas and possibilities of the urban. In contrast, There’s This Place I Know… is an anthology of photos and brief texts exploring places important to the hundred or so contributors. Originally an online blog project the book is beautifully designed and contains images of the everyday, the secluded, the wilderness, the domestic, the everyday, the momentary and the historical. 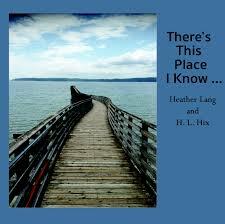 All are places special to the writers, who briefly eulogise, share and enthuse about the places in their photographs. This is a beautiful book which, like the Anderson, takes readers on a surprising, diversionary and open-ended journey. This entry was posted on 26 November, 2015 in homepage and tagged Darran Anderson, Imaginary Cities, Rupert Loydell. Bookmark the permalink.